She joins the previously announced line-up of Little Mix, Kings Of Leon and Stormzy, in Hull for Radio 1’s annual flagship event on 27 May and 28 May. Discussing her upcoming trip to Hull with Grimmy she told the Breakfast Show host that she’s looking forward to trying the area’s local delicacies, including chip spice, savoury patties and Yorkshire puddings. The two have even planned a date to Hull’s Yorkshire pudding factory! Nick Grimshaw says: “Well happy Katy Perry is coming to Hull! She's one of my favourite pop stars to see and also loves a good night out which I'm sure Hull will provide!" Burton Constable Hall will play host to this year’s event, with over 50,000 music fans enjoying performances from some of the biggest and freshest UK and international acts, with the majority of the free tickets going to residents of Hull and the surrounding area. 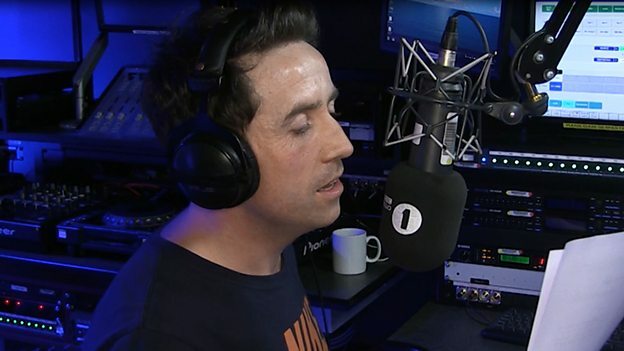 Ben Cooper, Controller, Radio 1, says: “Radio 1's Big Weekend just got bigger. The young audiences in Hull and around the UK are in for a treat from one of the planet’s greatest performers." Martin Green, Director Hull UK City of Culture 2017, says: "It's awesome that Katy Perry is headlining Saturday night at Radio 1's Big Weekend. A superstar addition to a sensational event, as well as to Hull 2017's fabulous music programme." Further information about Radio 1’s Big Weekend 2017, including the full line-up and ticketing details, will be announced on Radio 1 in the coming weeks and months. In the lead-up to Big Weekend, Radio 1 and BBC Learning will produce Radio 1’s Academy, which aims to inspire local 16-19 year-olds to take the next step in creative careers. Radio 1’s Academy will include a series of special events, local engagement and face-to-face activity in the area, beginning in February and culminating in May with a packed week of radio shows, gigs, masterclasses and Q&As. When using the video please credit BBC Radio 1’s Big Weekend.